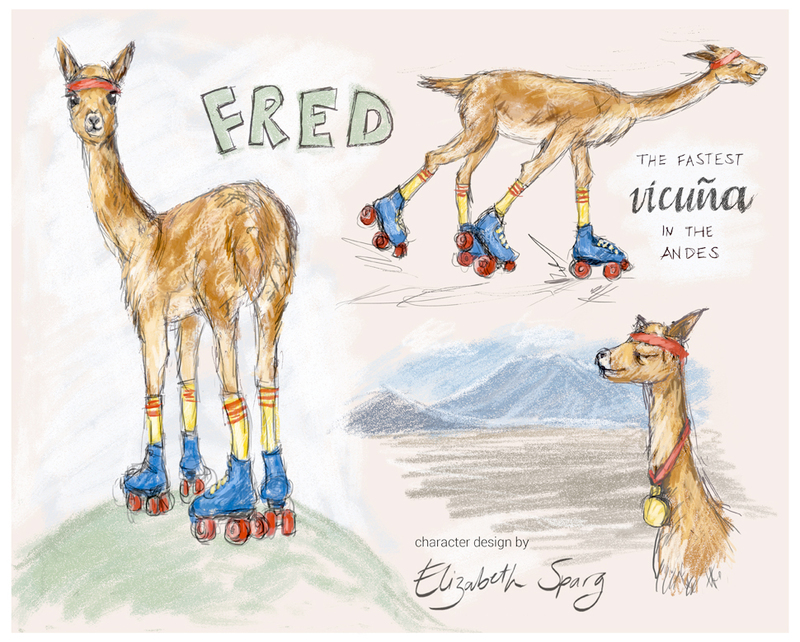 Our June assignment for MATS bootcamp was to create a vicuña themed page for a children’s book, focusing on showing various poses and expression for a character, and could include related items. 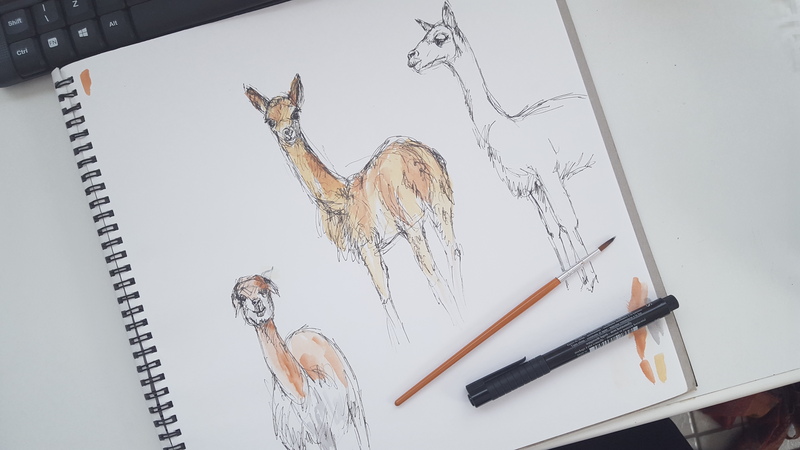 Below are some of my initial “mini” sketches exploring and getting to know the physical characteristics of vicuñas. I had never even heard of them, let alone seen any, before this assignment so it was quite interesting doing the research. 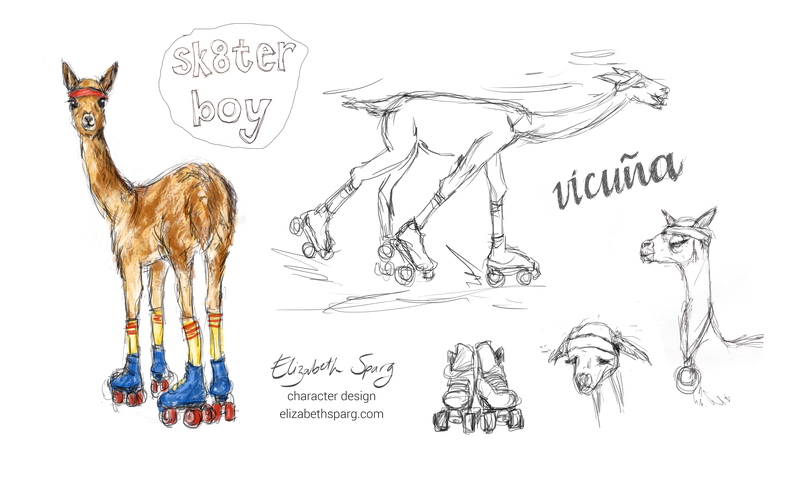 I then took my pen and watercolour drawing into Photoshop and developed a character using one of the sketches as a base. Once I had an idea of who my character was, I sketched him in some different poses and tried out some facial expressions. 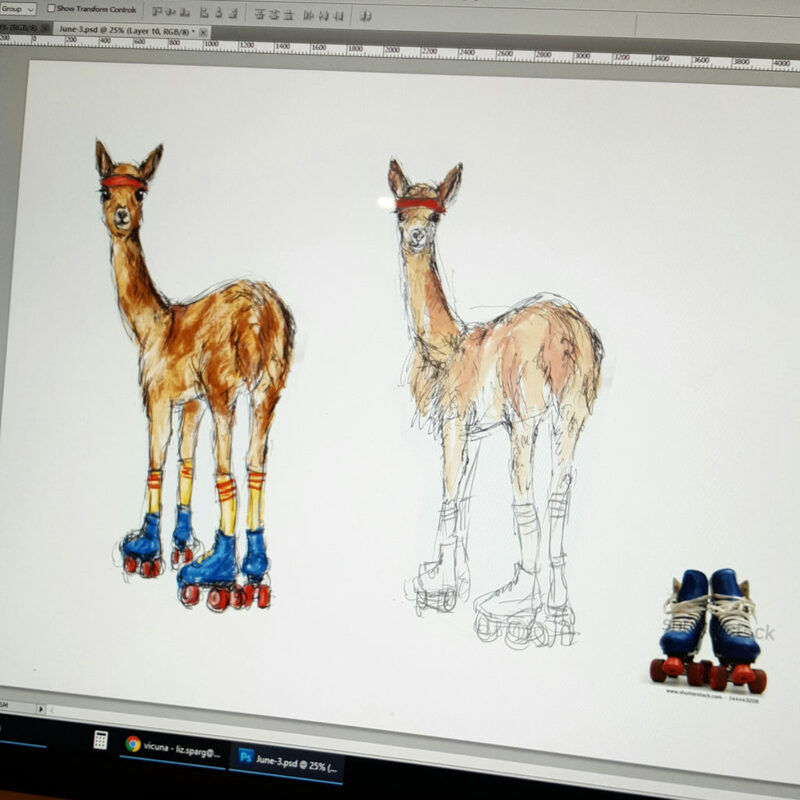 To see everyone else’s work – you can view the full gallery of submissions here.